What your session includes: This promotional Mini Session Includes a 30-minute session for your child(ren). You will receive 5 high-resolution digital images of your choice. You will be able to pick your favorite images from an online gallery, and it will be available for download. You will also receive a print release. Additional images can be purchased at $10 each. No prints are provided. MINI SESSION FEE: The mini session fee includes an optional pre-session consultation via phone or email to cover details in advance, 30 minutes of the photographer's time and talent at the studio, and retouching of your final images. Full payment of the session fee is due at the time of booking and guarantees your appointment time. Please submit the session fee payment along with these forms as soon as possible. Session fees and retainers are non-refundable for promotional mini sessions. Please be on time for your session. If you do not show up to the event you forfeit your payment. DIGITAL FILES: The CLIENT understands Cheryl Logan Photography still owns the copyright to all photos that are downloaded. 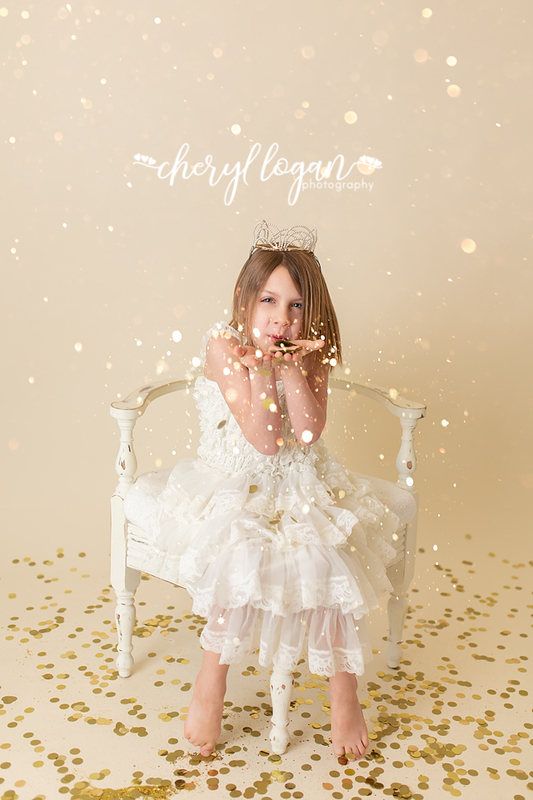 The photos must not be edited, cropped or change in any way without written permission from Cheryl Logan Photography. Photos are to be used for personal use only. The CLIENT accepts all responsibility for archiving and protecting the photographs. It is the CLIENT'S responsibility to make sure that digital files are backed up and saved. Cheryl Logan Photography does hold images for 1 year and charges a $25 archival fee to relist old galleries. What size dress does your little one need? I have various colors and styles!